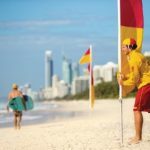 For the first time in 35 years, the Gold Coast will host a quintessentially Aussie spectacle and lifesaving’s most prestigious event – having secured the rights to the 2024 Lifesaving World Championships. Competition will be split between Kurrawa Beach and the Gold Coast Aquatic Centre. World Championship events include pool rescue, surf boats, inflatable rescue boats, surf ski, board, surf swims, team events, beach sprints and flags, and the ironman/woman. Age groups include Masters (30+ years), Open (19+ years) and Youth (15-18 years). The announcement came as this year’s championships got underway in Adelaide, with more than 4400 lifesavers competing. The titles will run till 2 December 2018 and include competition at the SA Aquatic and Leisure Centre. In Queensland, the state’s Tourism Industry Development Minister, Kate Jones, said the event would bring more than 5000 competitors from 50 countries to the Gold Coast over 17 days of competition. “Last held here in 1988, we’ve brought the sport’s most prestigious event back to Queensland,” she said. “The lifesaving movement is part of the very fabric of the Gold Coast community, from Nippers right through to the elite ironmen and women, so it’s great to be able to secure this event for a city where it means so much. The competition will be held at Kurrawa Beach and the Gold Coast Aquatic Centre over 17 days of action in late August and early September 2024. “We know this event will deliver for the Gold Coast economy,” Assistant Tourism Industry Development Minister Meaghan Scanlon said. 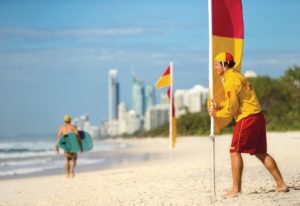 International Life Saving Federation president, Graham Ford, said the Gold Coast was the ideal host. “There were a number of factors considered when making the decision; firstly Queensland’s success after the Commonwealth Games, the fact they can deliver large events on the Gold Coast, the Australian Championships is run there regularly, and the fact there’s infrastructure in place and a world-class swimming facility at Southport,” he said. “I think the fact it hasn’t been held in Queensland since 1988 means it will attract a lot of international competitors, and we know that international competitors don’t just come for the event, they often stay on afterwards.